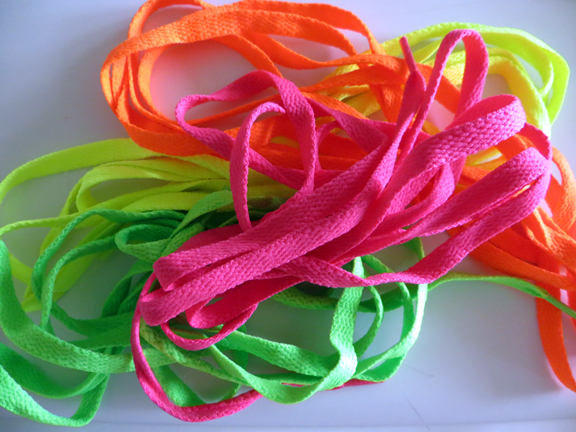 We use these brightly colored, neon laces for many of our beaded toys ... there are four colors and you get 2 of one color per package. They are 42" from tip (aglet) to tip (aglet) and our parrots love them. please be certain to check the toy daily for frayed edges and keep it well trimmed.